New UGallery artist Pamela Roberson painting in her studio. 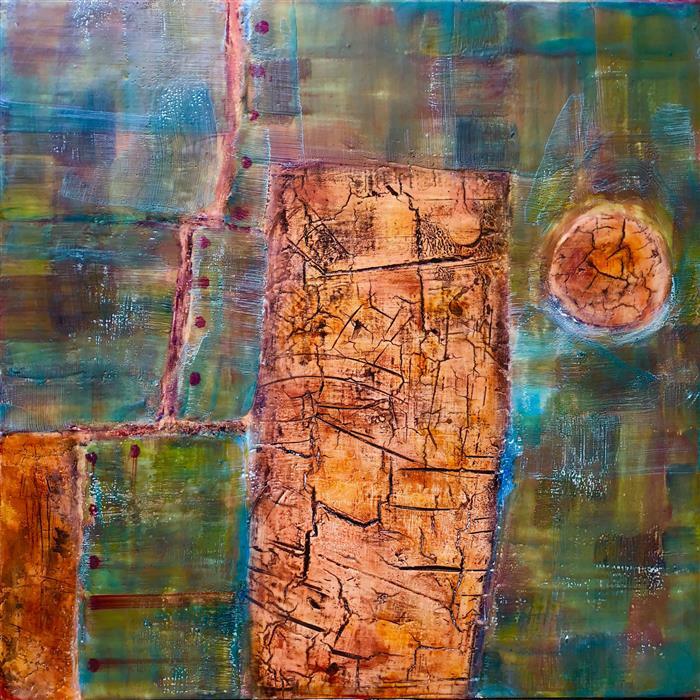 New Mexico-based artist Lisa Bick expresses the intricacy of life through abstract encaustic and wax-based paintings. Her wax work is a metaphor for life; she considers each layer a symbol of an experience. She uses a blowtorch to fuse the layers together. This process symbolizes loss, desire and longing. Similar to life itself, her work is complex and at times oxymoronic, joining opposites like as order and disorder. Lisa’s work relates individual spirits to the world at large. 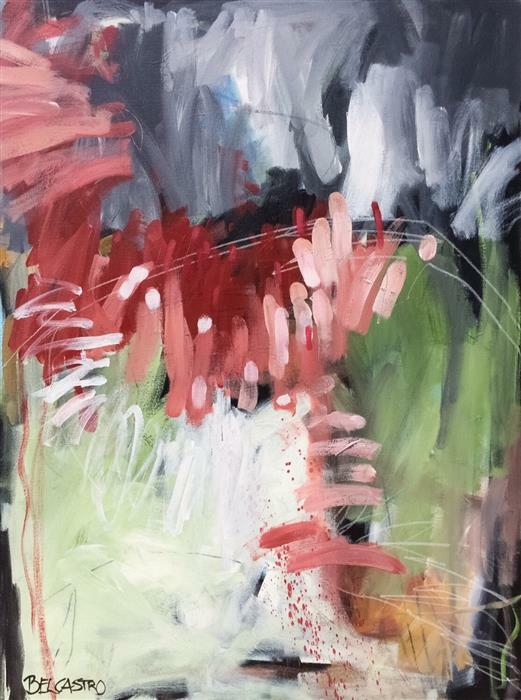 Peg Belcastro is an abstract expressionist who creates paintings using dynamic lines and muted colors. The lush forests and valleys that surround her home in rural Pennsylvania and her summers spent in the vibrant Alaskan wilderness are two of her main inspirations. She rarely beings painting with a pre-established plan; each brushstroke informs the next. She layers her work with colors, marks, and washes until she is satisfied with the piece’s depth and texture. California-based oil painter Carol Jenkins’s artwork is the expression of a life-long love of wilderness. 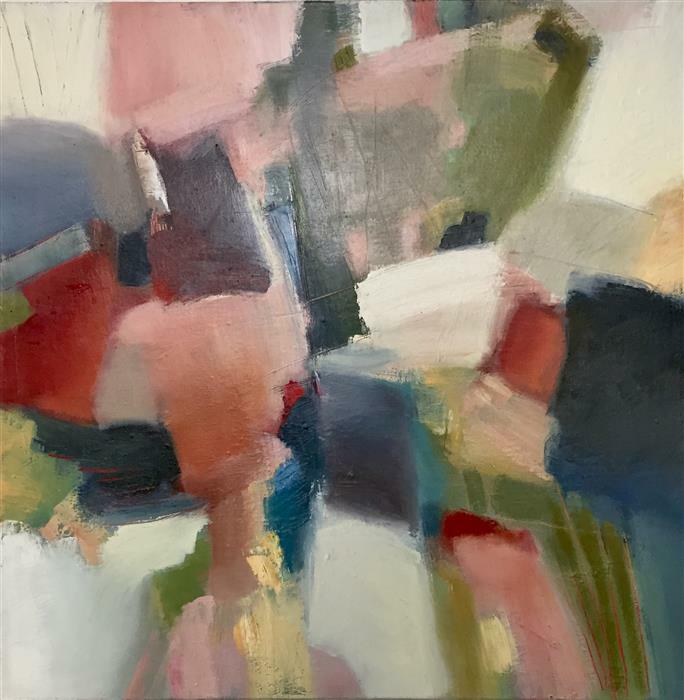 She creates abstract paintings using subdued, earthy tones. She arranges her pigments to create a balance of organic forms that direct the eye through the composition. She is inspired by her hikes around Mount Shasta, where she stays attuned to the shapes, motion, and colors of the natural world. To Carol, the spontaneity of abstract artwork makes it the best way to recreate the immediacy and beauty of a wild terrain. Alabama-based artist Keith Thomson creates quick-witted, mixed-media artwork that blends realism and surrealism. His background as a political cartoonist in the 90’s is reflected in the sharp storytelling his artwork achieves. He combines stylized realism and everyday subject matter with surreal details and ironic twists. He begins his work as digital sketches using an animation software, then he transfers the sketch onto the canvas and begins applying oil paint. In addition to painting, he is a writer, of mostly spy novels and nonfiction articles. His writing prowess shines through in his witty descriptions of his pieces. 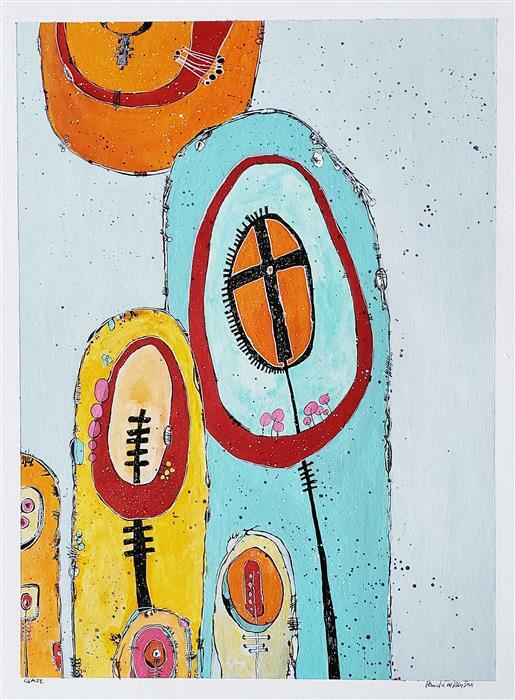 Pamela Roberson is an abstract painter from Michigan whose non-representational work connects to the inner-narratives of her viewers. From a young age, Pamela has been fascinated with the power of mark making. Her work functions on a level where even simplest line can take on many meanings. The shapes she creates symbolize the dynamics between people as individuals, family members, and society members. Though her work is abstract, it becomes narrative as each viewer imbues the paintings with their own meanings and associations. SHOP ARTWORK BY ALL OF UGALLERY'S NEW ARTISTS.